We are truly excited to launch our “Fifth Annual Father’s Day Rally Against Prostate Cancer” with a goal to reach one million persons in partnership with churches nationwide. PHEN clearly recognizes the challenge that lies ahead in accomplishing this goal. However, we believe that the successes of our Father Day Rallies since 2009 provide the foundation and impetus for meeting our objectives this year. To realize our mission we are appealing to all churches to partner in this year’s Father’s Day effort as a unique opportunity to educate and support the health needs of your members and community. We are calling upon prostate cancer survivors and their family members to take on leadership roles within their churches in support of the Rally. This movement rests on our shoulders and we need your help. I know there are a number of organizations and leaders within communities around the country who are performing outstanding work in the fight against prostate cancer. We invite you to join with us as a partner in this year’s Rally. Working together we have the opportunity to take a major step forward in accomplishing all our goals. Father’s Day Rally with its expanded size and scope. Through our collective efforts we envision a grand celebration of historical significance on Father’ Day. 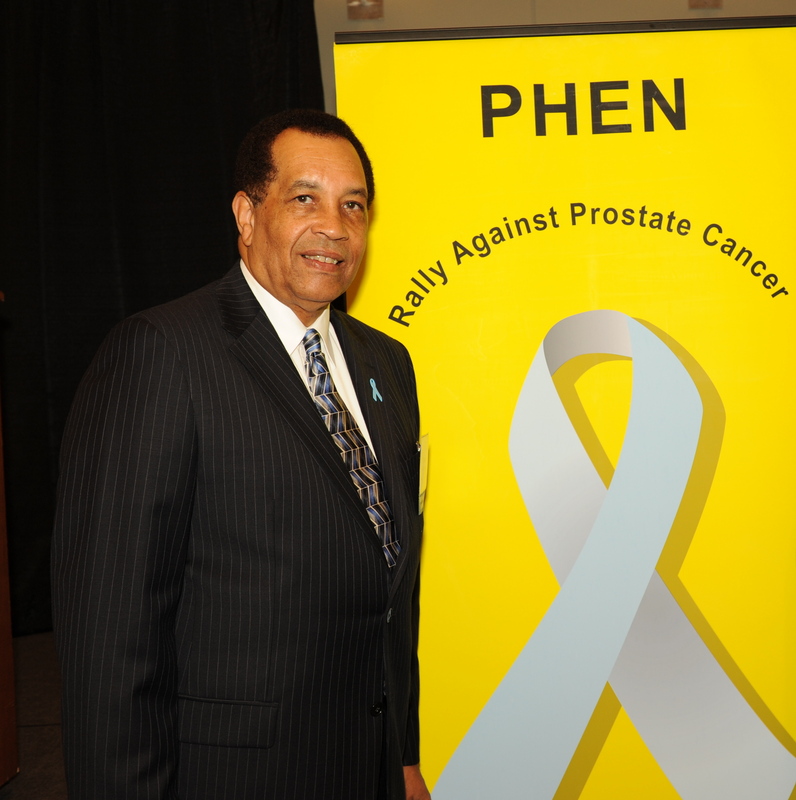 The impact of educating, mobilizing and fully engaging Black America in the fight against prostate cancer will be profound for us all. Lives will be saved, suffering reduced and the overall effort to find a cure for this disease will be advanced. I sincerely thank you for your support. Today prostate cancer patients with advanced disease have three relative new treatments available that improve overall survival. Provenge, Zytiga and Xtandi have all been approved by the Food and Drug Administration (FDA) over the past two years. These treatments represent significant progress for patients who for years had only chemotherapy to rely upon following hormone therapy. But the good news does not stop here. There are an increasing number of clinical trials using these “FDA approved” treatments. Importantly, these clinical trials are not experimental and seeking to prove the effectiveness and safety for these treatments. Effectiveness and safety were determined for each as part of the FDA approval process. Instead many of these trials are studies to better understand the treatments’ level of effectiveness relative to parameters such as stages of disease, genetic factors, in combination with other treatments, etc. In most instances men participating in these trials are able to receive treatment with these expensive drugs for no cost and no increased risk. Clinical trials using these new treatments represent a new day for prostate cancer patients, especially for those that cannot afford these treatments. 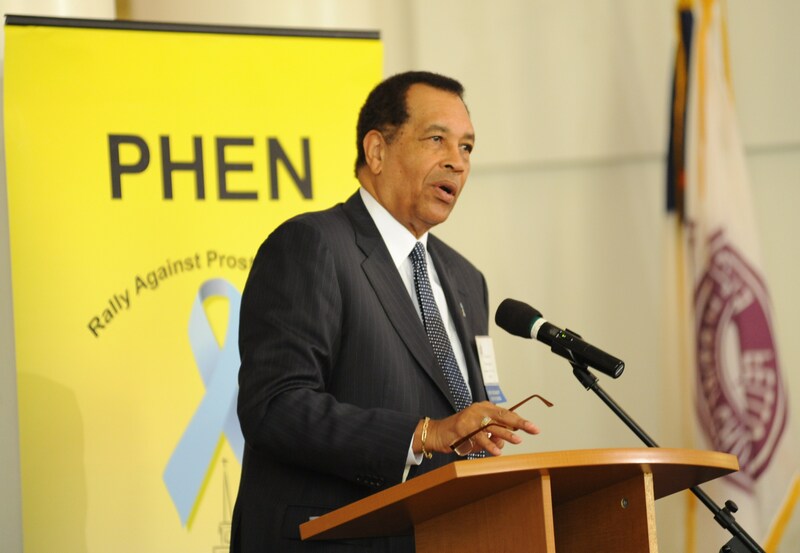 It is important for African American men, who are at a higher risk for needing treatment for advanced disease, to participate in these trials to help better understand how these treatments can impact on eliminating the prostate cancer epidemic that we now suffer. Also, in some cases these trials will remove the access barrier that some men face. 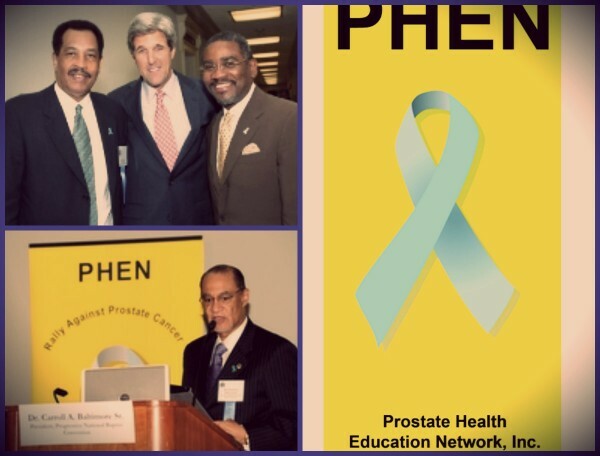 PHEN will continue to highlight and focus on important clinical trials to insure that the men most impacted by prostate cancer are knowledgeable and have the opportunity to participate in this exciting new day for patients. Remember, knowledge is the best defense against prostate cancer.